One national advisory firm has pointed to targets, both for firms individually and the industry as a whole, as the way to improve gender diversity in the accounting profession. This month Grant Thornton released a report, Women in Business 2017: New perspectives on risk and reward, based on the firm’s annual survey of 5,500 businesses in 36 economies. The survey found that Australia continues to lag behind the global average of gender diversity, with 25 per cent of senior leadership roles being held by women globally and only 23 per cent of senior leadership roles being held by women in Australia. Even worse, globally 12 per cent of CEOs are women, while in Australia that figure has been declining for the last five years and now sits at 3 per cent. On a positive note, the number of organisations with no women in senior leadership roles in Australia has decreased from 33 per cent in 2013 to 20 per cent in 2017, while the global average has stalled around 33 per cent over the same period. “Progress on gender diversity is still too slow. Government, businesses and individuals need to be more diligent in addressing the systemic issues that hinder progress,” Grant Thornton diversity leader Nicole Bradley said. Speaking to Accountants Daily, Grant Thornton CEO Greg Keith said that policies and targets are the answer to improving gender diversity in the accounting profession. 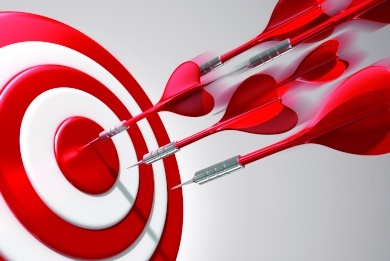 “I think the commitment to targets is a critical component to it. It creates accountability, a way that people can be measured and recognised, and rewarded for achieving those targets,” Mr Keith said. Mr Keith said that Grant Thornton has set aggressive targets to change gender diversity at partnership level within the firm. Improving gender diversity is crucial because it’s an important aspect in the eyes of clients when selecting firms to work with, according to Mr Keith. “What's important is that our mid-sized business clients are expecting us to become advisors, not just providers of products or compliance products, and to do that we need diversity of thought,” he said.